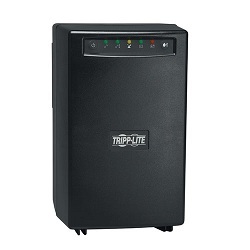 Tripp Lite Smart700 line-interactive tower UPS rated at 750VA/450 watts. Features 5-15P line cord, (6) 5-15R receptacles. 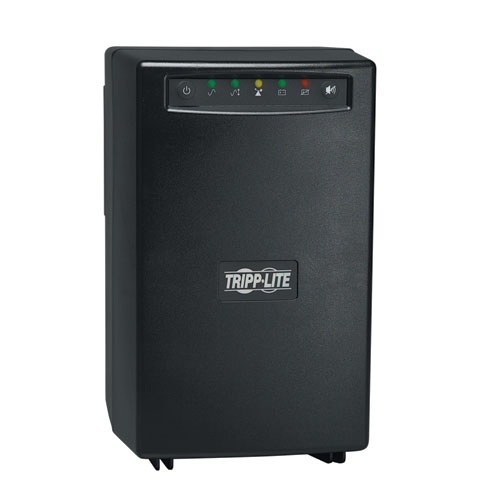 Intelligent line-interactive ups with 750VA/450 watt capacity provides 5.5 minutes of battery runtime at full load (16 minutes at half load) with standard internal batteries.